The practice of medicine is an art, based on science. Osler W. Teacher and student. In: Osler W. Aequanimitas, 1932, p35, Blakiston, Philadelphia. Evidence-Based Medicine Working Group: Evidence-based medicine. A new approach to teaching the practice of medicine. JAMA 1992; 268: 2420-2425. 南郷栄秀. Evidence-based medicine: 診療現場でのプロブレムの解決法. 日内会誌 2017; 106：2545-2551. Haynes RB, Devereaux PJ, Guyatt GH. 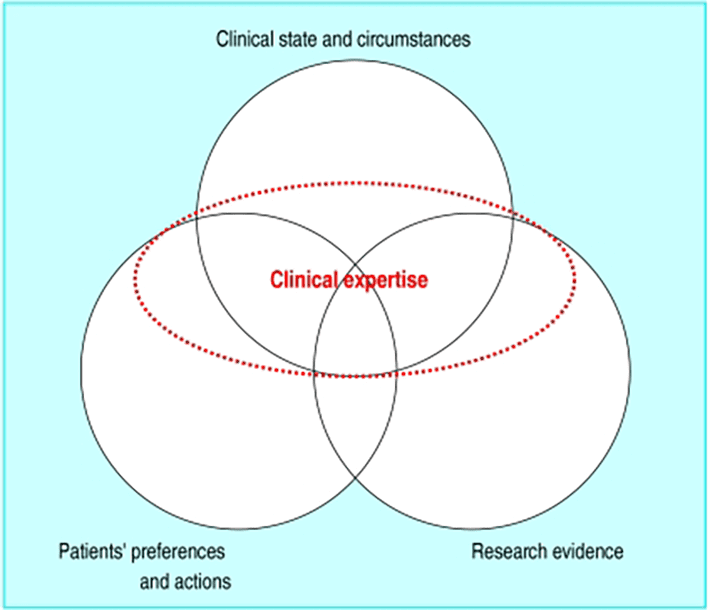 Physicians’ and patients’ choices in evidence based practice. BMJ 2002; 324:1350.